We Finished First - 2013-171, originally uploaded by Judi FitzPatrick Studio. 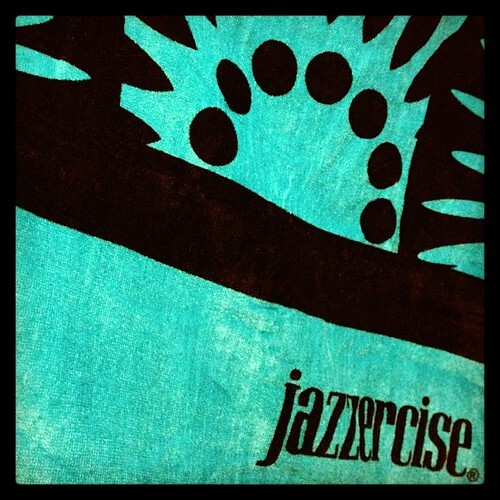 Jazzercise is having a challenge - 2 people form a team, attend 70 classes in June + July, and each partner earns a lovely beach towel! My partner, Tanya, and I finished the 70 class challenge in less than 3 weeks! While I took 5 classes a week, Tanya sometimes took 5 A DAY! Wow!!! It was a fun challenge and the rest of June and all of July we can just go to class as we used to - for the fun of it!